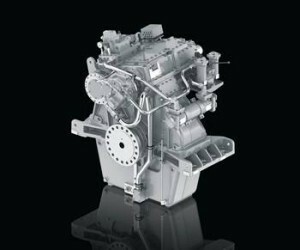 ZF Marine Propulsion has introduced the new workboat transmission family ZF W 10000 enhancing the range of ToughGear series transmissions. 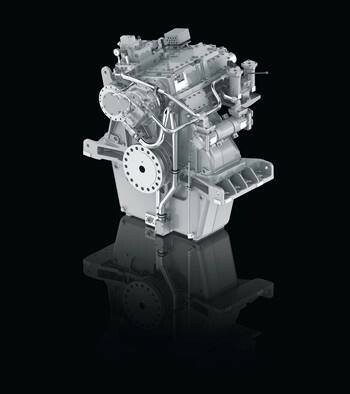 The brand new ZF W10000 transmission, introduced at the 2014 SMM show in Hamburg, is the latest commercial vessel transmission from ZF Marine, a world leader in marine propulsion system technology. Designed predominantly for the offshore and tugboat markets, the W10000 is rated to 2,610kW (3,500hp) at 2,100rpm. The W10000’s new compact design increases power density compared to the current offerings in this range. The W10000 represents a transmission family of a new generation based on our standardized platform for component sharing. This will reduce complexity and increase service parts availability across various product families. The new transmission is available at launch with ratios from 2.0:1 up to 7.9:1. “Here also we responded to market demand” Körner said. “Our customers are requesting deeper ratios and the W10000 delivers.” The transmission can be ordered in reversing, non-reversing and hybrid-ready (PTI) versions. W10000 transmissions also incorporate an integrated shaft brake, a powerful 1,000kW (1,340hp) Top PTO, and has many accessories including ZF Autotroll available for various applications and vessels with dynamic positioning requirements. SMM 2014 is also the launch for the new ToughGear brand from ZF Marine. ToughGear represents the ZF “W” series transmissions, transmissions designed from the ground up for the most rigorous duty cycles in the most challenging environments. “For many years ZF has been supplying transmissions to the workboat market,” Körner said.